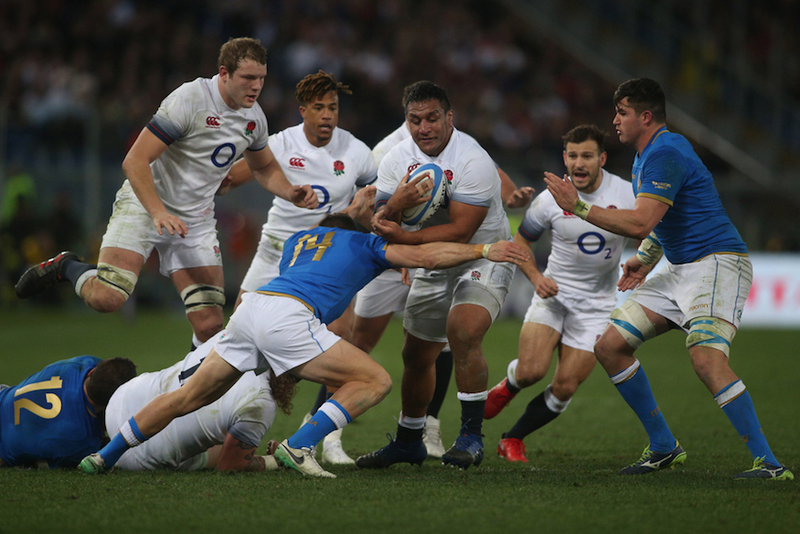 It's that time of year again: London's boozers will soon be brimming with rugby fans, necks craned towards HD screens and knuckles white with tension around pints of ale, as England, Scotland, Wales, Ireland, France and Italy battle it out for sporting glory. 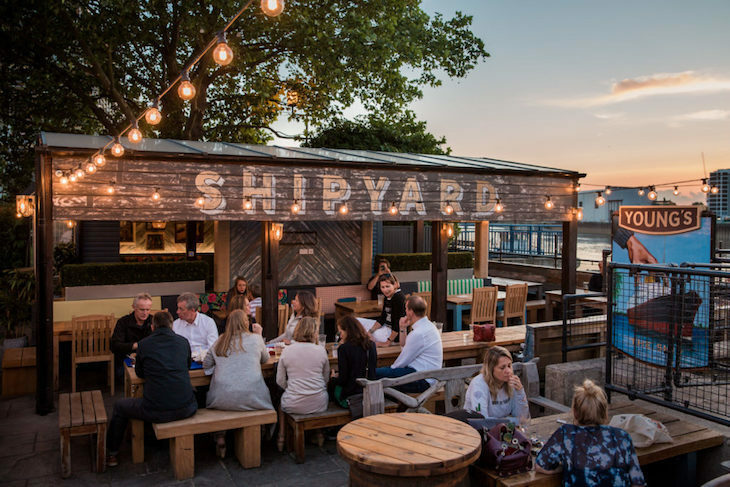 If you weren't lucky enough to nab a ticket to the stadium itself, there are loads of brilliant places across the capital where you can this year's Six Nations Championships unfold from afar, to suit every spectatorial style. 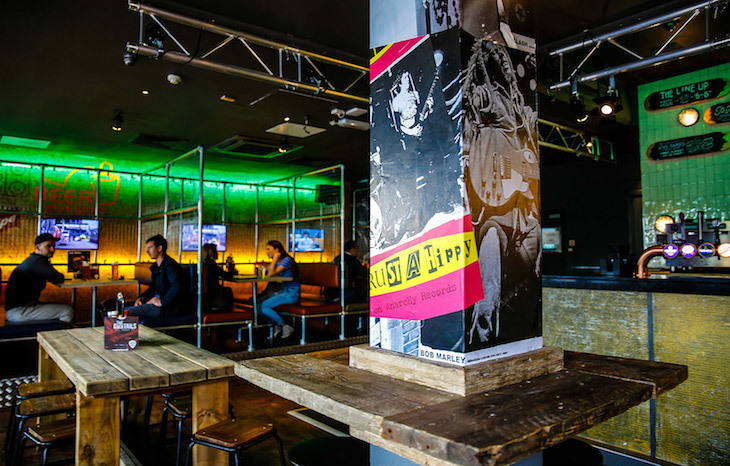 £35 guarantees you a prime viewing spot in front of a massive HD screen, three drinks, and a burger and fries at Belushi's, when purchased as a group. And thanks to the bar's FOMO-busting table service, you can keep your eyes glued to the screen all match long and save the interval for your wee break. Fancier group packages include nachos and VIP booth seating, or you can keep things simple with a £15 deposit that guarantees you entry and can be redeemed in the form of drinks from the bar. Various packages at Belushi's London Bridge, Hammersmith, Shepherd’s Bush, Greenwich and Camden between 1 February and 16 March. This Finsbury Park favourite promises a good time all year long, but it really comes to life during major sporting events. The Faltering Fullback is an Irish boozer through and through, so while it's not one for those planning on draping themselves in St George's Flag, it's a brilliant option for anyone cheering on the reigning champions. 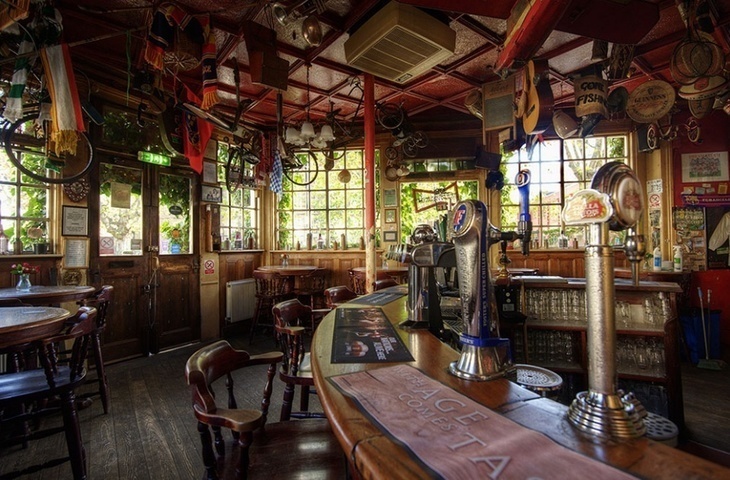 Line your stomach with a cracking Thai curry as you watch, and be sure to come out for air during half time — the pub boasts one of the best (and most bonkers) beer gardens in London, spread across three treehouse-esque levels. 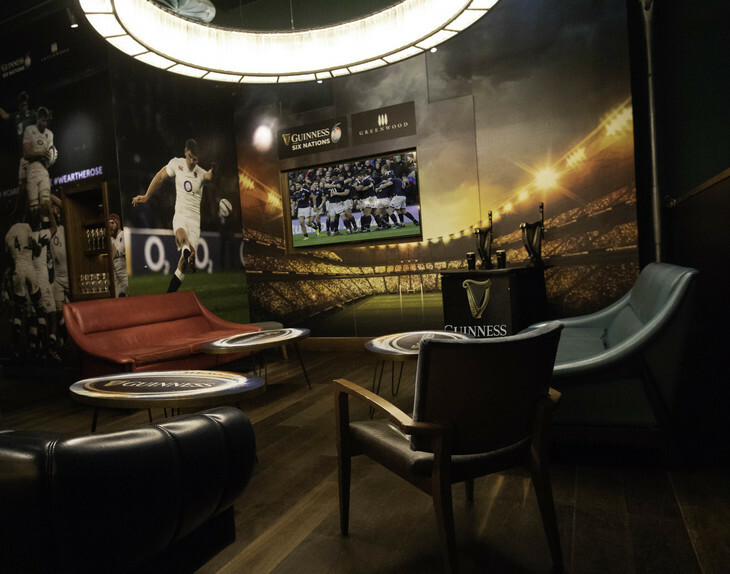 Premium sports lounge Greenwood teams up with lead sponsor Guinness for a Six Nations extravaganza that promises all the excitement of the stadium. As well as showing all matches on crystal clear HD screens, the newly-transformed Guinness Six Nations Lounge boasts a special menu curated by Guinness — we'll have the Scotch egg and Guinness HP sauce, please. The most dedicated of rugby fans can even book themselves a ‘Best Seat in the House’ VIP area, which includes their own Guinness tap and dedicated bartender. If that's not enough for you, get yourself a ticket to one of Goodey's Guinness Lunches. Hosted by Andy Goode, you'll share a three-course with an array of rugby legends who'll be sharing anecdotes, taking your questions and giving their two cents on the most recent fixtures. Greenwood, Victoria. Click here for more information on the Guinness Six Nations Lounge. 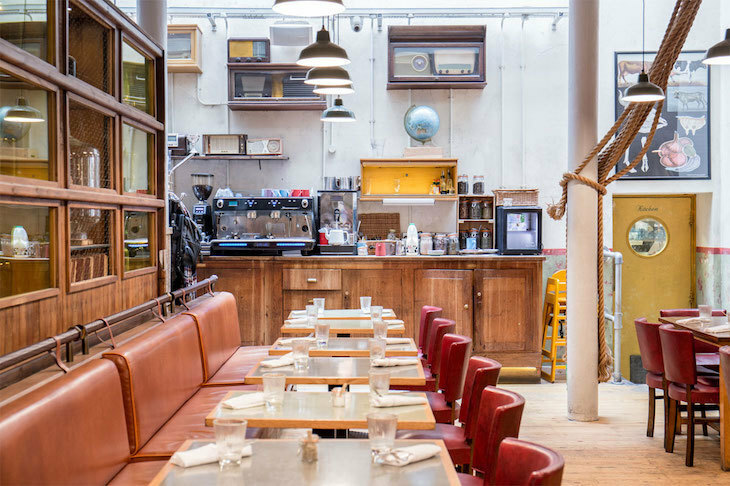 If you're up for a boozy one, get yourself a ticket to one of this Bermondsey gastropub's bottomless brunches, which take place on England match days. Chow down on avocado sourdough while cheering them on and knocking back endless beers, bloody Marys, espresso martinis, G&Ts or wine. Tanner & Co, Bermondsey. Bottomless brunch available Saturday 2 February, Sunday 10 February, Saturday 9 March, and Saturday 16 March. Contact hello@camm-hooper.co.uk to book. 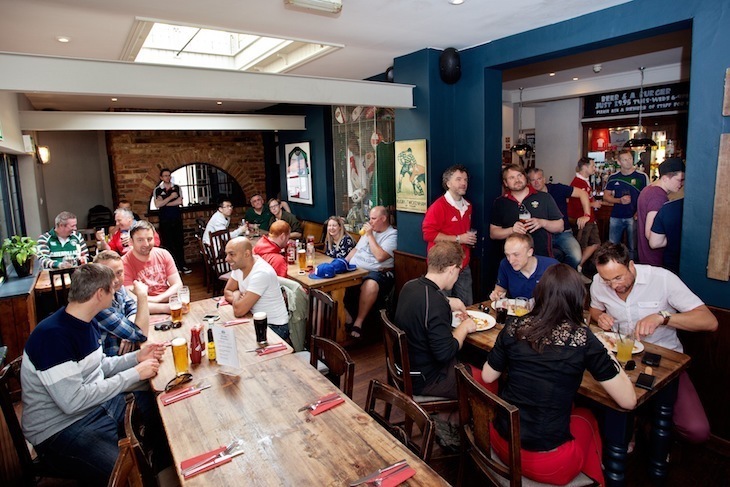 Located a mere stone's throw from Twickenham Stadium, The Cabbage Patch claims to be the most famous rugby pub in the world. 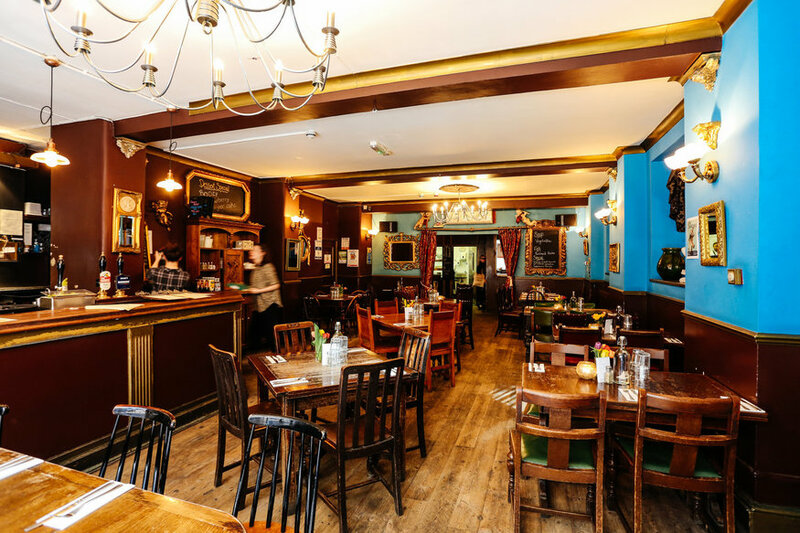 There's plenty of rugby memorabilia for you to eyeball during the boring bits, as well as an enviable offering of single malt whiskies behind the bar. 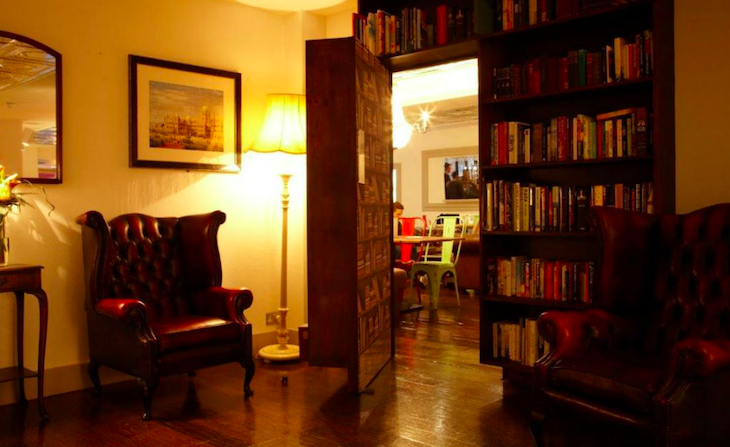 Walk through an actual bookcase and catch a match inside The Jam Tree's hidden bar. The Clapham watering hole has massive screens, surround sound, and comfy sofas for a proper home-away from-home atmosphere, with added cocktails. The Jam Tree, Clapham. View sports listings here. The roasts cooked up at Wandsworth boozer The Ship win rave reviews, making it the perfect place to catch a Sunday match. It also boasts tranquil riverside views, which makes the outside space an ideal place to decompress after some high stakes sport. The Ship, Wandsworth. Click here for match info and bookings. With eight screens and a downstairs cinema room, you're spoilt for choice when it comes to Six Nations viewing spots at The Water Poet in Shoreditch. Don't go getting complacent, though, this sprawling pub and its pretty beer garden is a bit of a local institution and will get packed out fast. The Water Poet, Shoreditch. Email info@waterpoet.co.uk to reserve an area.